Kieran is Professor of Law and Transitional Justice at the School of Law, Queens University Belfast. He has recently taken up a position as a Senior Research Fellow at the Institute of Conflict Transformation and Social Justice (2014-2015). 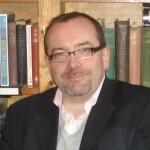 Professor McEvoy is a former Director of the Institute of Criminology and Criminal Justice and has written or edited six books and over fifty journal articles and scholarly book chapters on transitional justice related issues including prisoners, victims, amnesties, truth recovery and the role of lawyers. He has also conducted comparative research in over a dozen conflicted and transitional societies. Alongside this project he directs the Amnesties, Prosecution and the Public Interest in the Northern Ireland Transition, a partnership between Queen’s, the Transitional Justice Institute of the Ulster University and Healing Through Remembering. Visit Kieran’s Queen’s University Staff Page for further information. Louise is a reader in human rights and international law at the Transitional Justice Institute (TJI) at the Ulster University She is also TJI’s Dealing with the Past research coordinator. 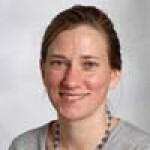 Her research focuses on law, justice and transition, with a particular expertise in amnesty laws. 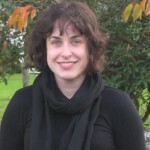 Louise has written extensively on transitional justice and her first monograph, Amnesty, Human Rights and Political Transitions: Bridging the Peace and Justice Divide, was awarded the 2009 Hart SLSA Early Career Award and was jointly awarded the 2009 British Society of Criminology Book Prize. In addition to this project, Louise has been the lead investigator in the development of the Belfast Guidelines on Amnesty and Accountability, and she is working with Prof McEvoy on the Amnesties, Prosecutions and the Public Interest in the Northern Ireland Transition project. Visit Louise’s Ulster University Staff Page for further information. Marny is a lecturer in the School of Law and was previously the Assistant Director of the Institute of Criminology and Criminal Justice at QUB. 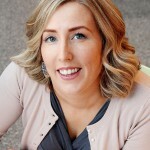 She researches in the areas of criminal justice, human rights, and transitional justice and has published on jurisprudential change related to the Northern Ireland and Chilean transitions, as well as on miscarriages of justice and human rights in domestic courts. She is a member of the New York Bar and has extensive human rights experience in local and international organisations in Chile, Northern Ireland and the U.S. Marny is currently conducting a study into judicial approaches to police brutality in Chile, Northern Ireland and South Africa. Visit Marny’s Queen’s University Staff Page for further information. Anna joined the Lawyers, Conflict & Transition project in January 2014. She was previously co-Director of the Peace Process: Layers of Meaning project, a three-year initiative supported by £864,000 from the European Regional and Development Fund. Her research has developed along three closely related lines: modern Irish history, socio-legal studies and conflict transformation. She has conducted more than one hundred and fifty lengthy interviews across a vast array of locales – from parlours and prisons, to Parliament Buildings and the office of the Irish President. Her publications encompass biography, criminology and research methodology. Her most recent publication (with Seán McConville) is The Routledge Guide to Interviewing: Oral History, Social Enquiry & Investigation (2014). Visit Anna’s Queen’s University Staff Page for further information.